What the weather in Vietnam like? 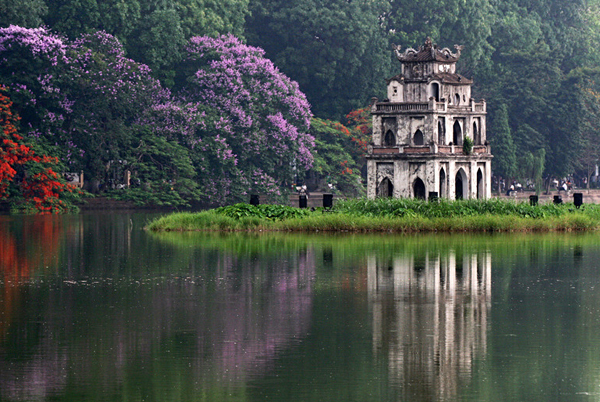 Vietnam has a hot and humid climate, greatly influenced by seasonal monsoons. The climate in the south is equatorial, while the north is sub-tropical. Climate differences also depend on altitude. Vietnam is located entirely within the tropical belt of the northern hemisphere, in favor of the tropics than the equator. The position brings Vietnam with a high temperature base. The average temperature is annually from 22ºC to 27ºC. Every year, there are about 100 rainy days with average rainfall from 1500 to 2.000mm. Air humidity is around 80%. The number of sunny hours is around 1500-2000 hours per year, average annual radiation is 100kcal / cm². 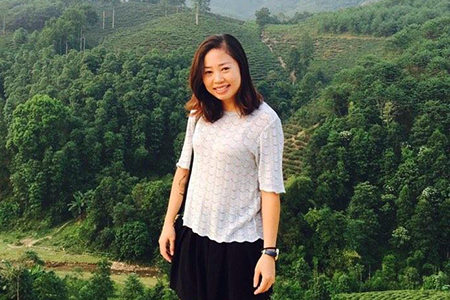 Monsoon and tropical climate make the natural moisture of Vietnam changed. In general, Vietnam has a hot rainy season and a cold season, little rain. On the overall temperature, the climate of the northern provinces (from Hai Van Pass to the North) change with the 4 seasons: Spring, Summer, Fall, Winter. 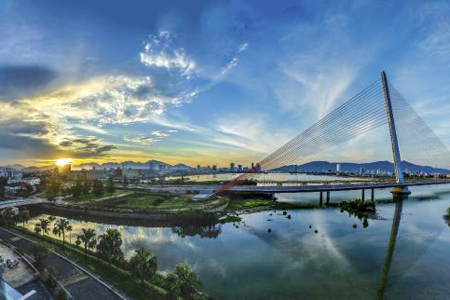 Vietnam is greatly influenced of the northeast monsoon, therefore, the average temperature is lower than average temperatures in many other countries in Asia at the same latitude. 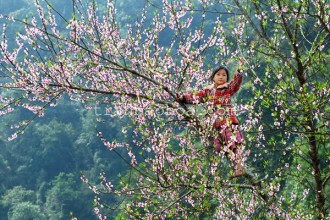 Undoubtedly, the climate in Vietnam varies considerably from season to season and also from region to region. 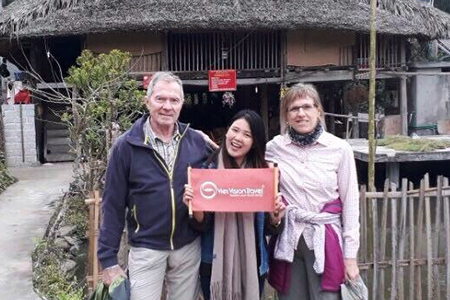 In general, the climate of northern Vietnam is cooler and more pleasant than many other Southeast Asia countries in the same latitude. There are two main distinct seasons. The winter runs from November to March, the weather become colder and colder in this time. The weather seems to be warmer in April (this time is the transition of seasons, a leap into summer). This is also time to see much cloud and frequent drizzle. The average temperature is around 17°C. Particularly, the mountainous areas (in the Northwest) are much colder in winter months, temperature is often below 10°C in a long time even minus degree. Ice and snow sometimes may cover many mountains and nearby areas in Sapa with the lowest temperature recorded of -3°C in Feb 2008. The hot summer runs from May to October in the whole area. Temperature may reach to 37°C in the peaks of June and July. Hanoi and coastal and surrounding provinces in the Red River Delta receive equal weather. The annual average humidity is around 80% all year round, even though the typhoons and heavy rain occasionally hit the areas in some months of summers (September to November). On the other hands, the weather in northern Vietnam (northern provinces from Hai Van Pass to the north) can be divided in to 4 separate seasons by Vietnamese people, each season characterize a feature: spring (runs from March to April) with cool and pleasant weather and autumn (runs from October to December) with dry and cool weather, a chilly winter (from December to February) and a hot and rainy summer (from June to August). 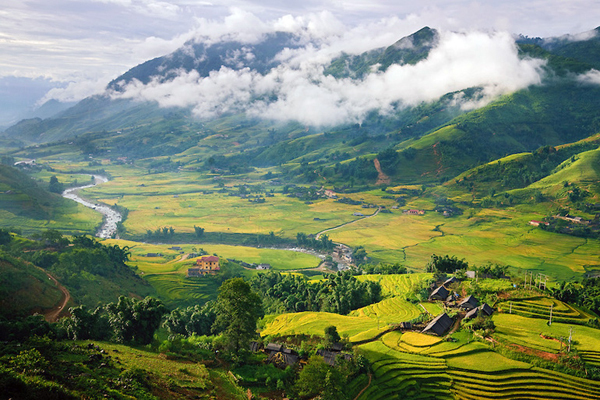 The Central Vietnam divided in to two sub-regions, coastal lowlands and central highlands, can be characterized by the combination of climate between the North and the South of Vietnam. The coastal provinces are drier and hotter than the central highlands in the summer, as the Truong Son Mountains prevent it from receiving the huge amount of rainfalls of south-western monsoon (from April to October). The coastal provinces are usually wetter and colder than central highlands in winter due to monsoon season that runs from November to March. The storms and typhoons also hit this area more frequently than the rest of the country in summer months (runs from July to November). 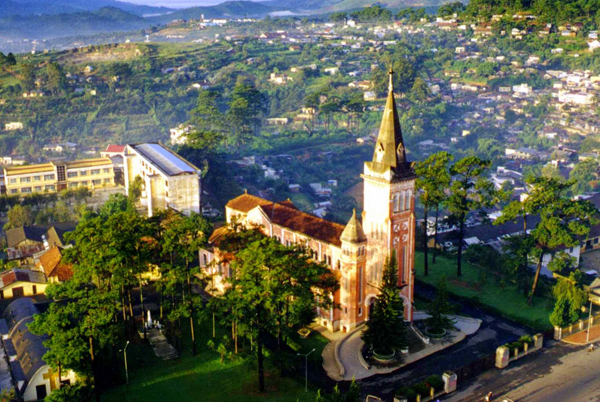 The central highland provinces occasionally receive pretty much average annual rainfall, especially, two biggest cities in this highland, Dalat and Pleiku, characterized with cooler and more pleasant weather during year. 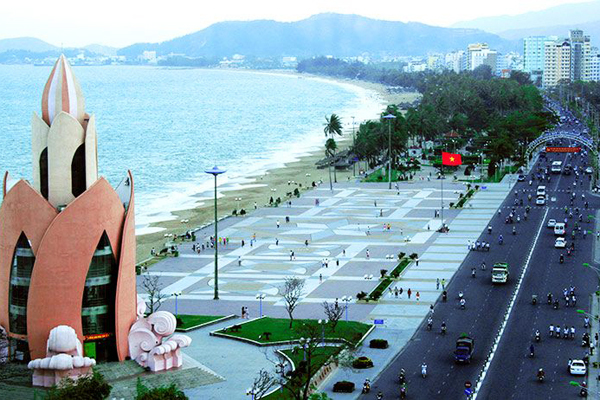 Some typical coastal cities in this area like Quy Nhon and Nha Trang enjoy the hotter and wetter weather (22°C-33°C) throughout the year. 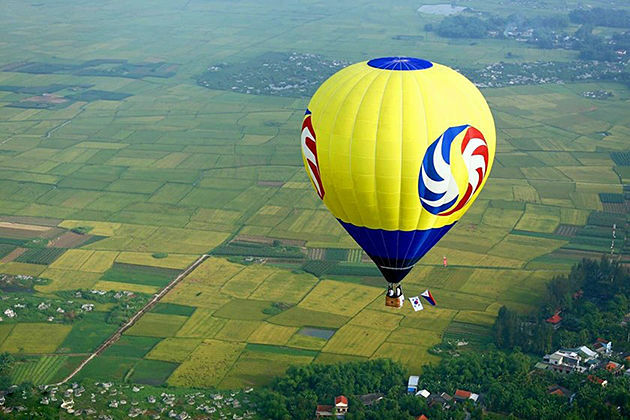 The South of Vietnam is typically characterized with the humid tropical climate which is greatly favorable for agriculture especially growing rice. The temperatures in this area do not vary too much in the whole year (around 27-32°C). There are two distinct seasons: the rain season (monsoon season) which last from May to November, the heavy rains are frequently occurring every afternoon. As the result, it causes flooding in and around Ho Chi Minh City. 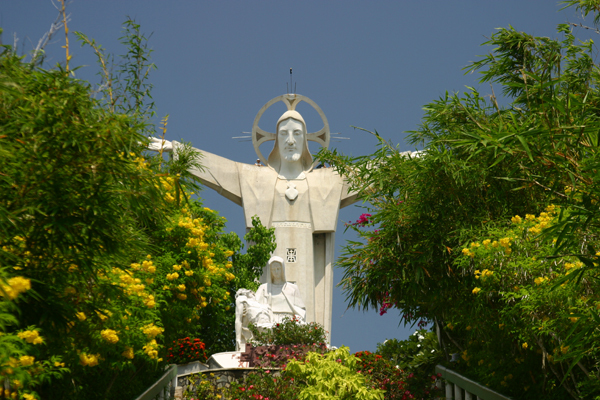 The dry season is usually hot from late February to April. 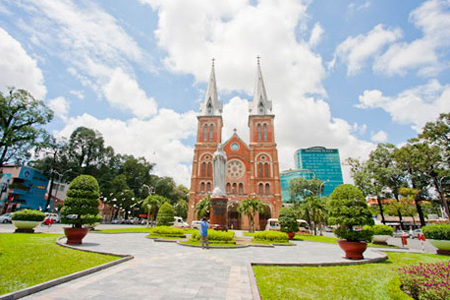 Ho Chi Minh City is affected mainly by tropical climate with high humidity all year round. 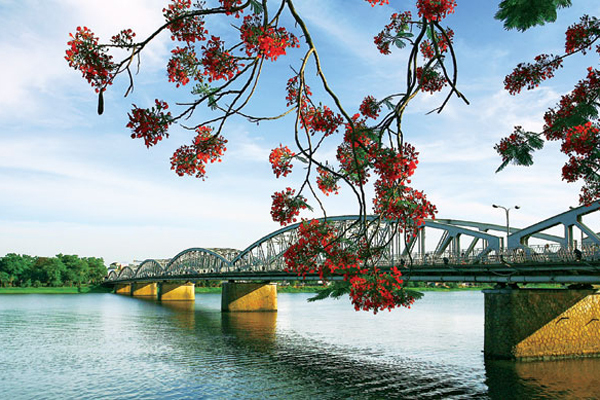 December to March can be said to be the best time to travel to the central provinces and cities. 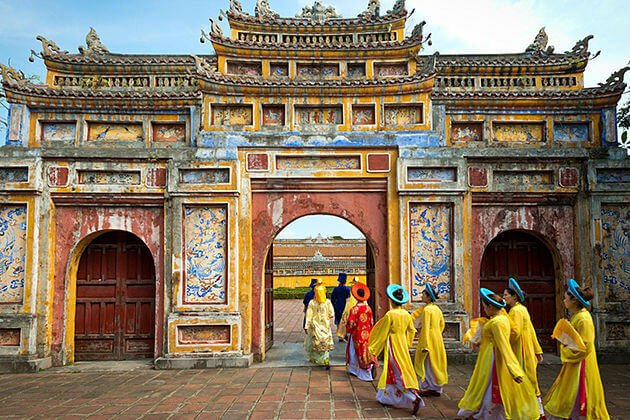 Generally, there is no best time to visit Vietnam due to the climate and weather varies much from north to south, season to season. Depending on which regions and different traveling time of the year that you can meet the variety of weather as well as landscapes. 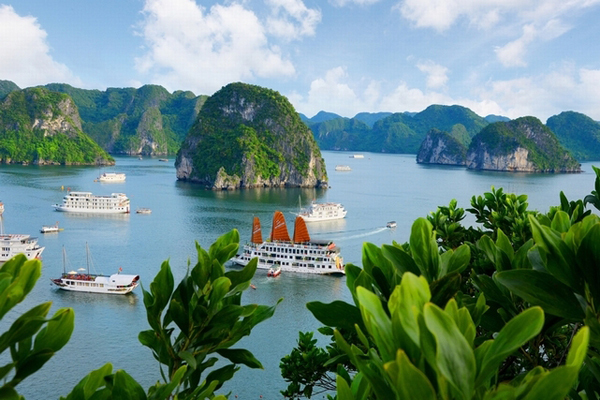 Commonly, you can travel to Vietnam at any time of the year. 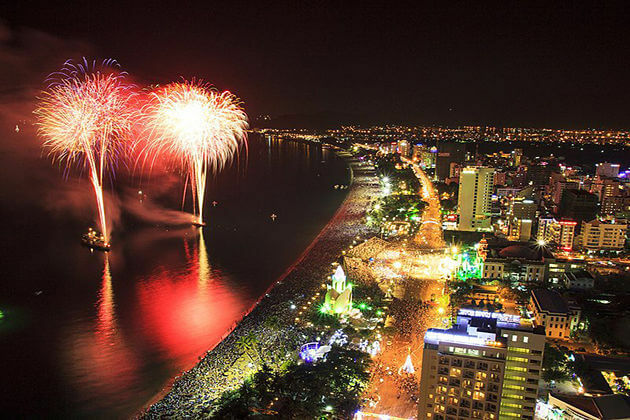 From February to March is considered as the most pleasant time to drop in Ho Chi Minh City because of dry weather and less rain while meeting the cool and dry weather in Hanoi in October to November.